March 7 (UPI) — A grand jury indicted the gunman in the mass shooting at Marjory Stoneman Douglas High School in Parkland, Fla., on 34 charges, including 17 counts of first-degree murder, prosecutors announced Wednesday. Nikolas Cruz, 19, also faces 17 counts of attempted first-degree murder for the Feb. 14 shooting, which also injured 16. Slain were 14 students and three faculty members. 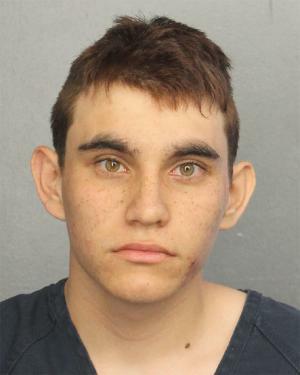 Cruz confessed to the shooting after his arrest, saying he brought the AR-15 and additional magazines to the campus in a backpack. Cruz attended the school but had been expelled for disciplinary reasons. The formal charges came after a grand jury interviewed James and Kimberly Snead, the couple who took in Cruz after his mother died. The panel also interviewed other witnesses. “They still don’t know why this happened … [they] didn’t see this coming,” he said. State Attorney Michael Satz was expected to prosecute Cruz’s case. The grand jury announcement came as Education Secretary Betsy DeVos visited students at the high school on their first full day of classes since the shooting.